The Integrity Commissioner, Dr Nikola Stepanov will be chairing the panel and the lecture will address key questions being put to the panel for their reflection in light of their areas of expertise. 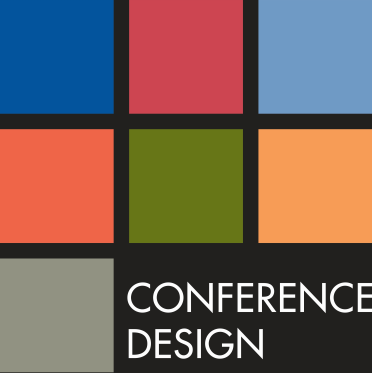 There will be a strong focus on audience participation and the ability to put questions to the panel. 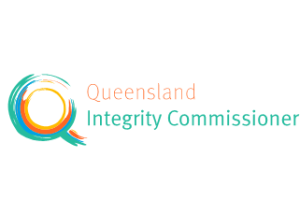 Dr Nikola Stepanov was appointed by the Governor in Council on 1 July 2017 as Queensland’s fifth Integrity Commissioner. Her appointment is for a three-year term, which expires on 30 June 2020. Dr Stepanov has spent much of her career in service to the public sector and community. Her background is in professional ethics and governance, research and research regulation, mediation and dispute resolution, and board governance. She has expertise in resolving complex and contentious conflicts where there are grave personal or governance risks. She holds five degrees, including a Juris Doctor (JD) and a Doctor of Philosophy (PhD). She completed her PhD at the University of Melbourne with the School of Global and Population Health and the Melbourne Medical School. 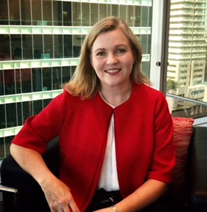 Her professional accreditation and memberships include: as a Fellow of the Governance Institute of Australia (FGIA); accreditation as a Mediator under the National Mediator Accreditation System; accreditation by the Federal Attorney General’s Department as a Family Dispute Resolution Practitioner; and registration as a Professional member with the Resolution Institute (PRI). In the mediation space, she has a strong interest in children’s rights, elder advocacy, cross-jurisdictional property matters, and cross-border treaty matters involving children with complex health needs. Dr Stepanov is published in various fields including as a co-author on a book chapter with renowned Canadian physician, Professor Gordan Guyatt OC, founder of the concept of evidence-based medicine. As part of various collaborative partnerships, she has been involved in securing significant funding and grants. She continues to be involved in research and to publish, mainly in the areas of: human genomics law and ethics; corruption prevention and public administration; medical law and ethics; and dispute resolution, as well as supervising PhD students. Over the course of her career she has dabbled in most things as well as the working in ‘the office’ such as rearing calves, fencing and drenching, running a herringbone dairy (in pink flannel shirt of course), rescuing koala communities post-bush-fires, and can even can ride gallopers for track-work (slowly and only as a last resort for the horse’s sake). On a more personal note, Dr Stepanov was born in Townsville, Queensland, and adopted into the rather nomadic Stepanov family. She started primary school in Fairbanks, Alaska, before moving back to Queensland via San Francisco, Los Angeles, and a few other stops in between. In Queensland she attended schools in Mt Isa, Hervey Bay, and Cloncurry, before completing high school in Maryborough and then working her way through several university degrees. She has three adult sons, and is co-located in Townsville and Brisbane. In her spare time, Dr Stepanov is a keen traveller, section/ distance hiker, snow skier, book-lover, and chocolate devotee. She barracks for the Cowboys and the Normanby Hounds. Mr Philip Green was appointed to the position of Privacy Commissioner, Office of the Information Commissioner in December 2015. Philip has worked in many different Queensland Government roles and in private practice throughout his career. Prior to his appointment as Privacy Commissioner, he was Executive Director, Small Business – Department of Tourism, Major Events, Small Business and the Commonwealth Games and has held this role since 2008. He was responsible for leading Innovation Policy and Innovation Partnerships and Services and Office of Small Business Teams in the delivery of high level policy development, program management, service delivery and advice. Philip is appointed as Privacy Commissioner to 10 December 2018. Professor Richard Murray is the Dean of the College of Medicine and Dentistry at James Cook University (JCU). At JCU he leads Medicine, Dentistry, Pharmacy and related research and service. He is also responsible for general practice training for 90% of Queensland under the Australian General Practice Training Program. Professor Murray’s career focus has been in rural generalist medicine, Aboriginal health, public health, tropical medicine, medical and health professional education and the healthcare needs of underserved populations. He has a national and international profile in rural medical education and rural medicine and has held a range of leadership positions. Professor Murray is acting President of Medical Deans Australia and New Zealand, a Director on the Board of the Mackay Hospital and Health Service and a past President of the Australian College of Rural and Remote Medicine. Prior to joining JCU as Planning Director of the Rural Clinical School in 2005, Professor Murray spent 14 years in the remote Kimberley region of Western Australia, including 12 years as the Medical Director of the Kimberley Aboriginal Medical Services Council. Socially accountable health professional education that seeks to align teaching research and service to the priority healthcare needs of communities. Building international alliances to promote Rural Generalist Medicine as a means of strengthening access to quality, safe and affordable health care in rural and remote communities. Professor Murray has participated in the national policy arena in rural and remote medicine and health, health professional education and Aboriginal health for over 20 years and has had a key role in many initiatives, including a recent appointment by the Prime Minister to the National Ice Taskforce. Dr Vicki Xafis is a Senior Research Fellow at the Centre for Biomedical Ethics, National University of Singapore, leading the NMRC-funded SHAPES (Science, Health and Policy-relevant Ethics in Singapore) initiative. She has a background in bioethics, linguistics, education and research. Vicki has considerable professional expertise in research & clinical ethics and has recently moved to Singapore to join the SHAPES Team. In addition to interests in areas of clinical ethics, Vicki has an interest in big data ethics, privacy, consent, and research ethics. Previous article Euthanasia and vulnerable groups. Belgium on a slippery slope?